How vigilant are you when it comes to wearing sunscreen and taking care of your skin’s health? I wish I could say that I’ve been applying sunscreen all of my life and have had no troubles with skin cancers, but that’s unfortunately not the case for me. I have thus paid the consequences. It takes about 20 years for your sun damage to catch up with you. So, once I was in my 40’s, I started having things ‘show up.’ Basal cells, squamous cell, and even melanoma. The melanoma was a total shock and surprise, as it didn't look too suspicious, just a small pink blotch that was on my left arm. After going to a dermatologist, who also thought it appeared like a minimal basal cell, we learned indeed it was melanoma. This put me in a whole new ballgame, and due to my fast metabolism, you can be at risk for having it spread fast. So, I had to have it cut out ASAP. The cut itself and how bit it would be was a big surprise, too, because the spot itself was so small. But not the surgery. In fact the cut went long and deep to my bicep, in order to have large margins around the initial site, and then margins had to be checked. 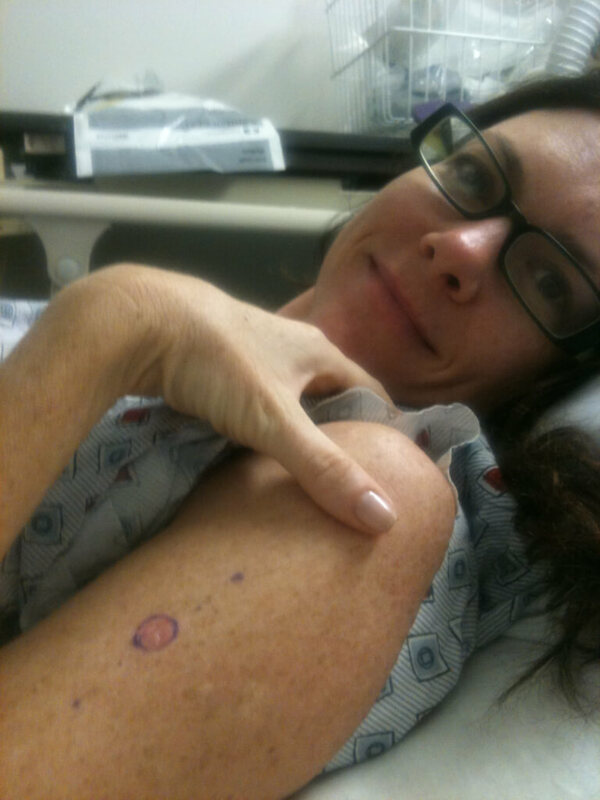 Unfortunately, the margins had not been clear, so there was a period of six weeks that I had to wait until the next surgery was to happen to determine whether or not it had spread to the lymph nodes and throughout the body. It would involve cutting more as well as some lymph node examination. There was some real concern that it may have spread, but luckily it was discovered through the second surgery that it had not. 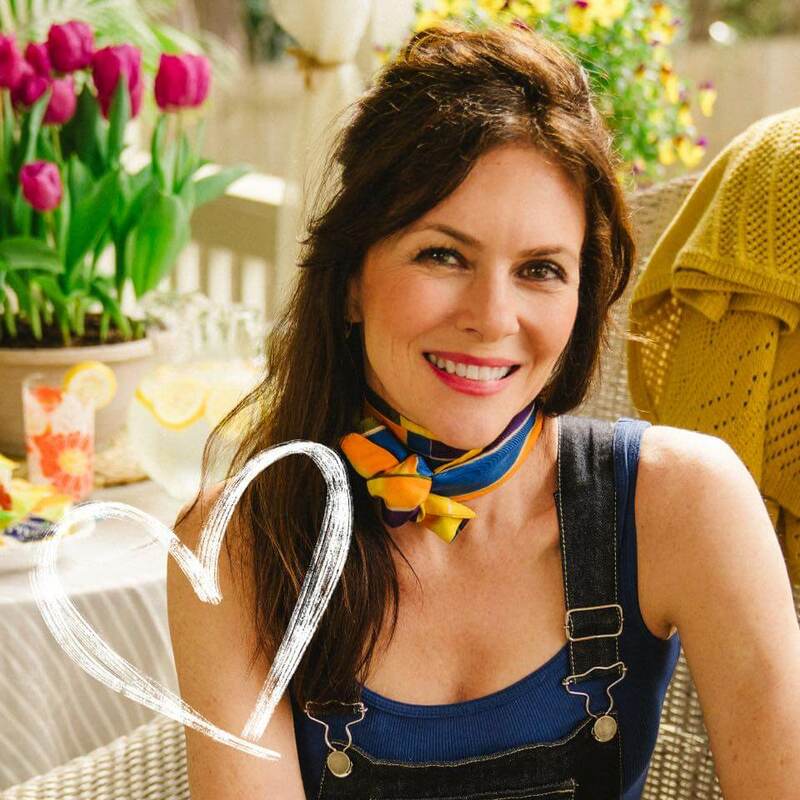 Honestly, I did not know that it would be OK as all I could think of was how many wonderful people before me – Moms, especially – that had lost their lives to melanoma. I wasn't sure that I would be spared, as I am no better than anyone else who has had this battle and lost. But it's a roll of the dice, and I got lucky. It was clear and had not spread. There is a 95% cure rate with what I had done, and I was now in the clear. 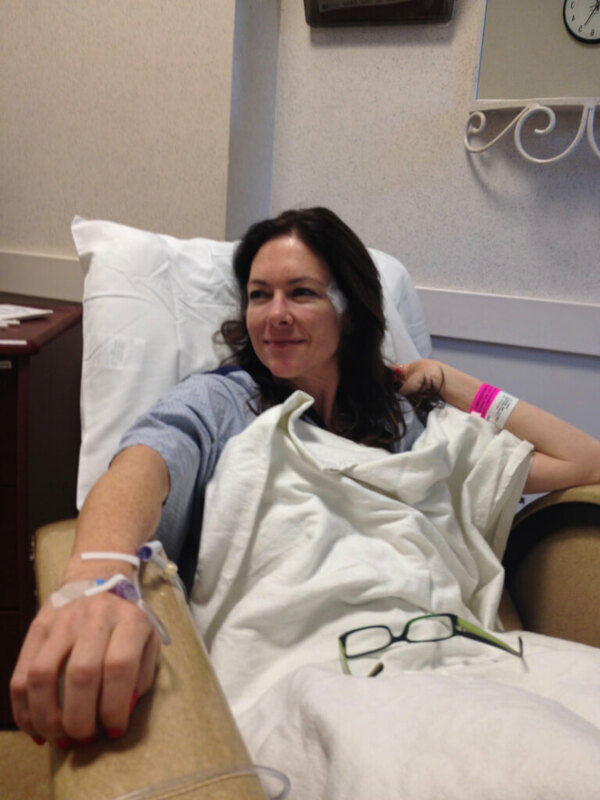 Seven years later, I have not had a recurrence of melanoma, although I have had some other skin cancers that are more superficial and treatable. 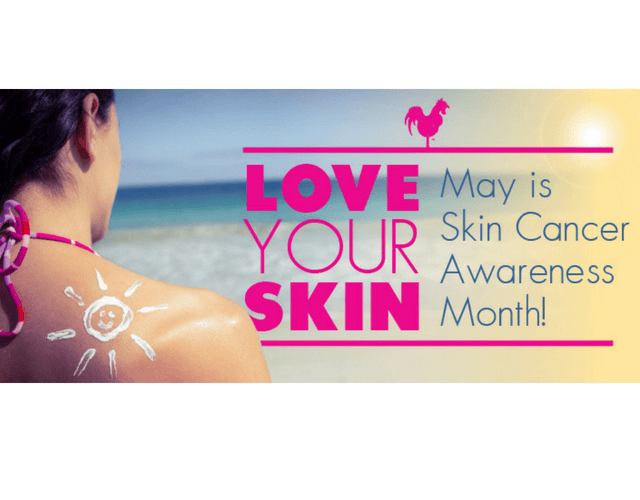 The thing about skin cancers is that they are preventable. They just require your being vigilant about sunscreen and avoiding excessive sun exposure. Now, I see the dermatologist at least every four months for ‘scans,’ to see if there’s been any new issue that I must tend to. So far, so good. Small things have been caught here and there, and luckily the melanoma early enough, thank god, I have a scar to show for it that is about four inches long on my left arm. 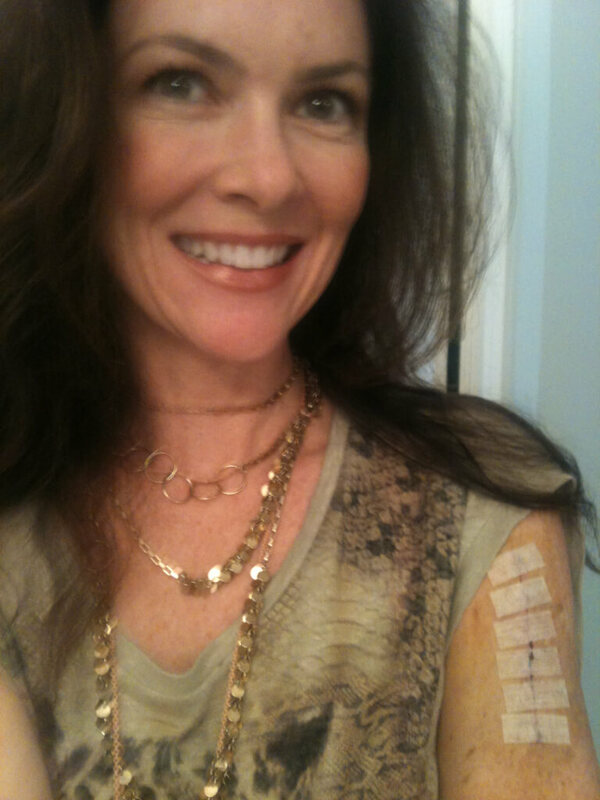 The scar is so subtle, and I consider it a battle scar, and I’m happy to have it considering the alternative. I wear it as a badge to serve as a reminder. 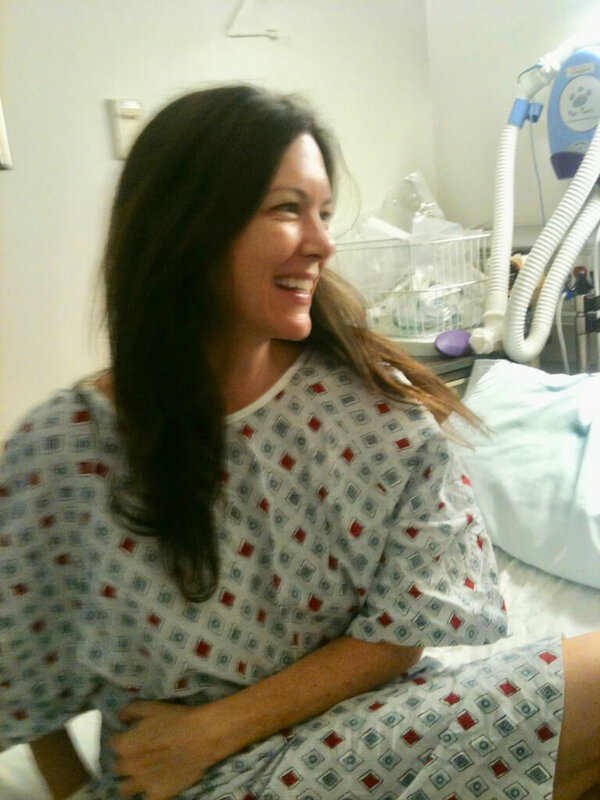 This photo was taken as I was going into surgery, and the other is taken a handful of days when it was done. I was happy it was over. I used to shirk from the goopy.white film that I’d have to apply on my face to protect it – making my face look pasty or oily, so I often did not. No surprise, after the melanoma incident, the very next summer I had squamous cell – on my face! A small bump appeared, and unfortunately it was identified as squamous cell. It was on my cheekbone, biopsied, and then required a surgery and cutting it out – with large margins and deep. It was very scary as it was the size of a nickel, so then it required plastic surgery to create a tiny scar that would not be as apparent on the side of my face. I'm saving the graphic 'after pic' and details of the sutures because it turns my team's stomachs and probably will yours, too! But the plastic surgeon did a great job, and I'm fortunate that it wasn't more serious than that. Now there are so many amazing creams, lotions and sprays, there’s no excuse to not take care of your skin and protect it. Just need to make sure it is part of a morning routine that you stick to! I worry about farmers, who are out in the sun daily, for the whole day. I have asked so many whether they wear sunscreen, and it’s a mixed response. I get it. It’s so hard to put your needs first - especially when you’re not really thinking about your own health and needs first, but we need to. I encourage you to put your skin’s needs first, too, just as I am trying to now myself! Now, I see the dermatologist at least every four months for ‘scans,’ to see if there’s been any new issue that I must tend to. So far, so good. Small things have been caught here and there, and luckily the melanoma early enough, thank god, I have a scar to show for it that is about four inches long on my left arm. The scar is so subtle, and I consider it a battle scar, and I’m happy to have it considering the alternative.I wear it as a badge to serve as a reminder. So, let this be a reminder - May is National Skin Cancer Awareness Month. So, use this as the impetus to make your skin cancer screening appointment! There’s no downside to doing so, and only upside in catching something early! Be well and be in good health, friends!